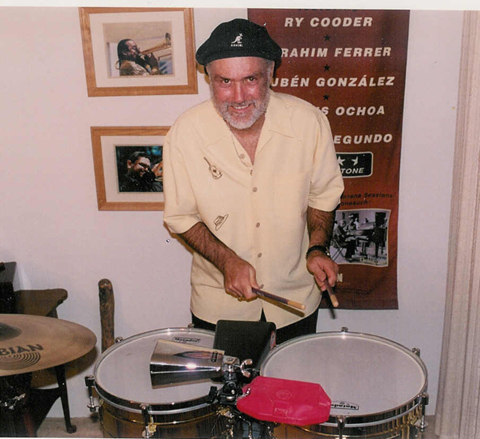 Tom Ehrlich has been interested in Afro-Caribbean music ever since he stumbled onto a "Latin Music" radio show from New York City by Symphony Sid in the 1960s, which came on after a rhythm and blues show he used to listen to as a teenager. His interest in Afro-Caribbean music, especially Cuban music, and also jazz continued to develop and transformed into a passion, where most of his waking hours includes listening to the music he loves both live and on recordings. Tom also has been a serious amateur photographer on and off, for many years. After photographing musicians at the San Jose Jazz Festival, San Jose, California in 1998, he developed an intense interest in photographing jazz and Afro-Caribbean musicians. He now has hundreds of photos of his favorite musicians and many musicians use his photographs for their cds, websites and publicity.